Sometimes all you need is a little pampering. Although those days are far & few between, I adore the moments when I can spend time doing stuff for myself. Painting my nails, opting for a new haircut, or buying a cool shade of lip liner. 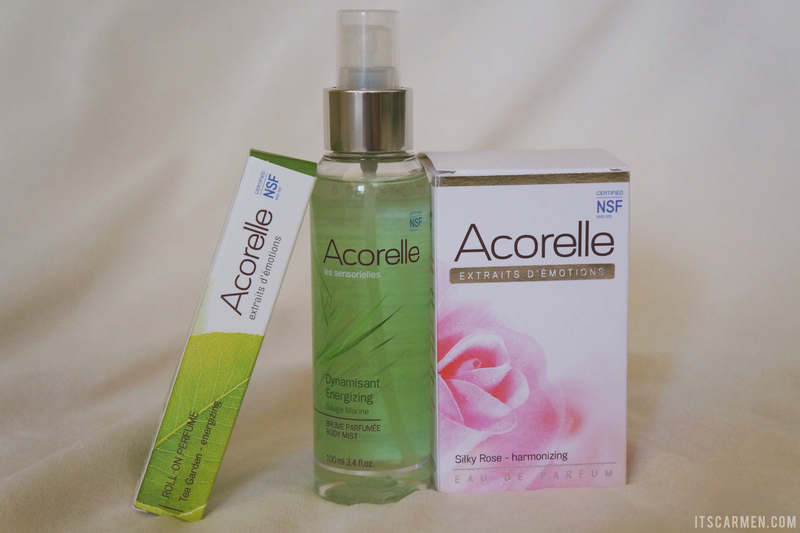 That's why I was happy to be contacted by Acorelle*, an all natural & cruelty-free French brand, to review a range of their products. 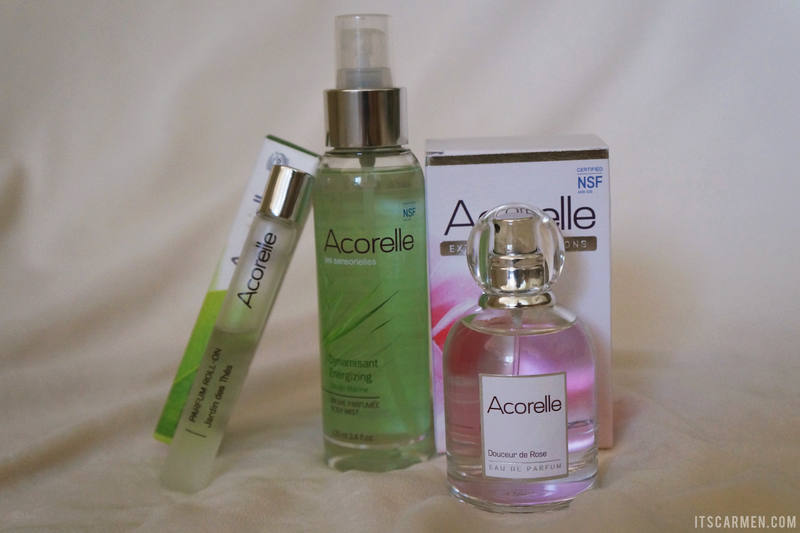 They sent me a variety of perfumes & natural hair removal items to experiment with. I spent some time trying them all out with a bit of Netflix playing in the background. For perfumes, I received the Silky Rose Eaux De Parfum, Perfume Discovery Tips sample set, Tea Garden roll on perfume, & Ocean Sage Body Mist. 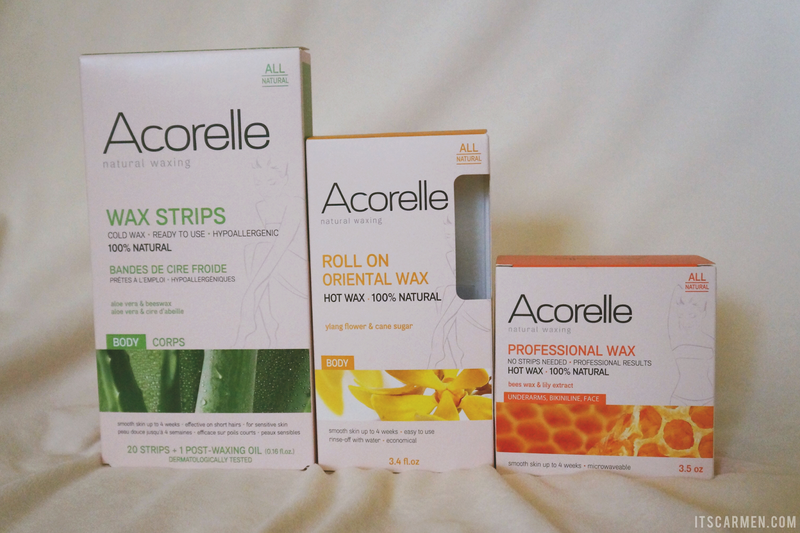 As for waxing products, I got the Cold Wax hair removal strips, Roll On Oriental Wax, & the Cire Royale™ Professional Wax. I adore perfumes so I was thrilled at the selection I was gifted. 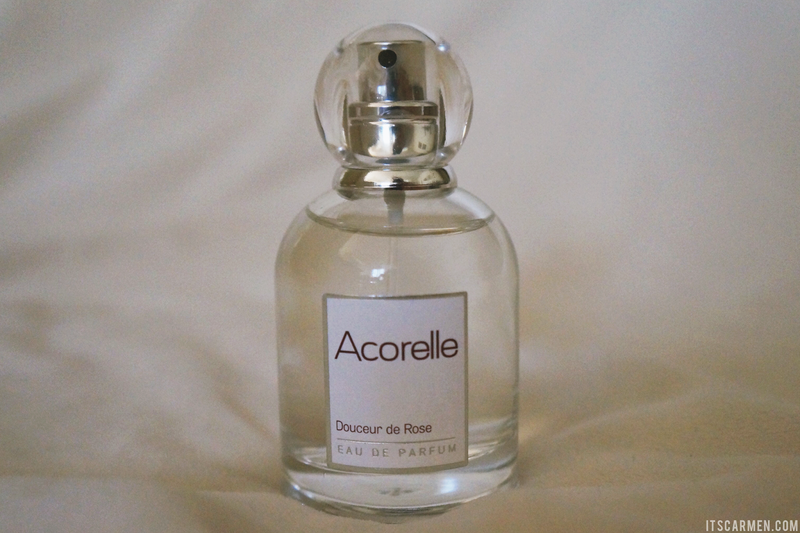 Acorelle perfumes are certified organic & made in France; they're created with essential oils & organic, non-denatured alcohol. The perfumes contain no phthalates, artificial colors, artificial musk, or synthetic chemicals. Silky Rose Eaux De Parfum has a pretty fruity, rose scent -- seemingly fresh from the garden with head notes of rosebuds & lychee. It smells like a true rose water. I love love love this perfume & I'm glad it came in the 50ml bottle. Retails at $34.73. The energizing Ocean Sage Body Mist comes with invigorating notes of lemon, cedar, & sage. 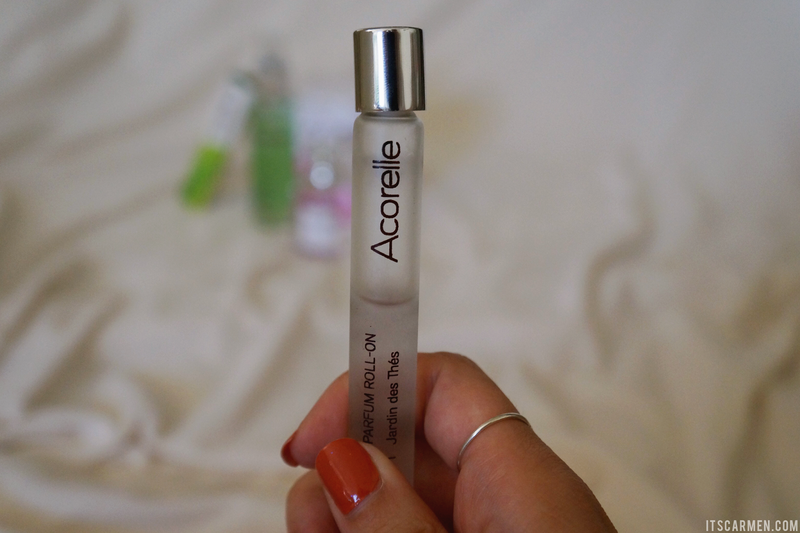 I like to casually spray this body mist before going anywhere since it's light & refreshing compared to a heavy perfume. The 100 ml bottle retails at $13.23. My mom had a similar scent to the Tea Garden roll on perfume that I always enjoyed. Now I have my own. However, the roll on perfume lid is a bit wonky & doesn't close properly; upon receiving the perfume, half of it had leaked through the packaging. It contains head notes of citron, bergamot, & cardamom. Retails at $13.23. 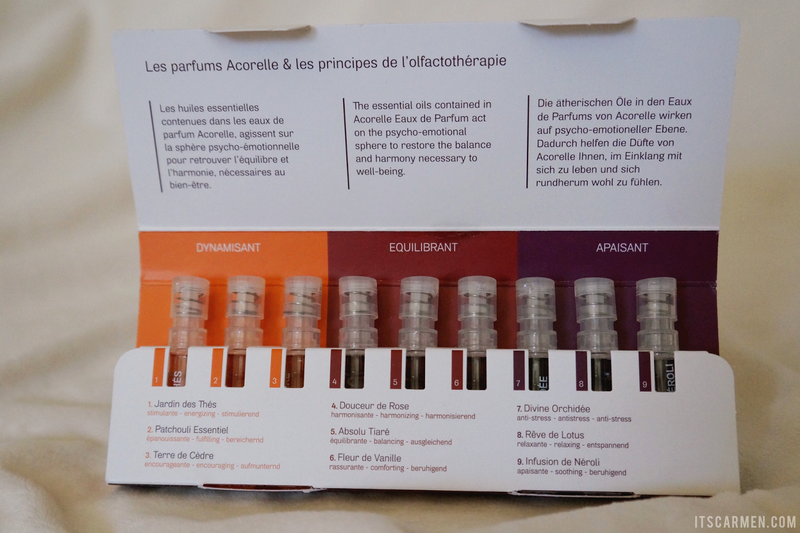 I also received the Perfume Discovery Tips sample set which is a pack of nine trial sizes of perfume. They're perfect for traveling & popping into your purse. I brought the sample set with me while I'm traveling in Europe to smell good on the go! It's so convenient. Overall, I was really impressed with the perfumes I got. I like the clean scents & the natural element behind everything. Retails at $7.17. I'm not a wax expert, so the waxes were a little more difficult to deal with. 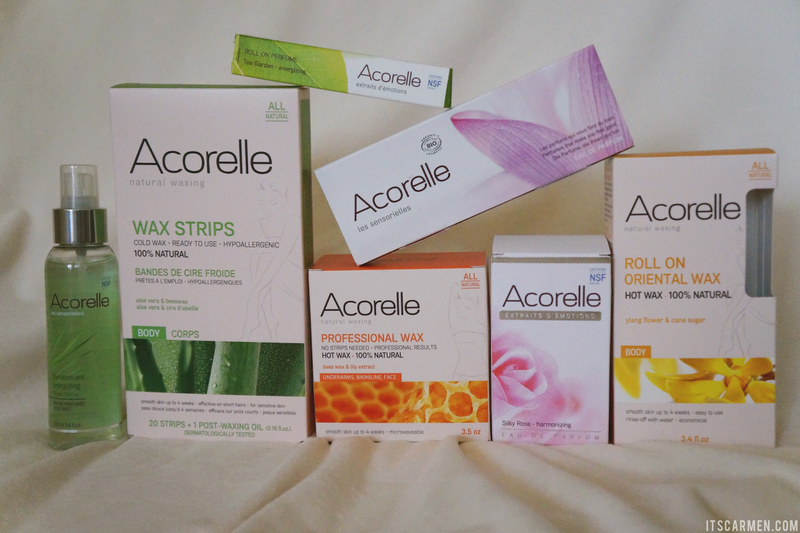 My favorite was the Cold Wax hair removal strips with aloe vera & beeswax. It comes with 20 strips & one post-wax organic sweet almond oil. Warm up the strips by rubbing them between your hands & then place them on your body. The almond oil removes the wax residue & left me with smooth, silky legs. I would recommend this one for the waxing newbies out there. Retails at $9.70. The Roll On Oriental Wax with ylang flower & cane sugar was so so. The directions said to heat the wax in the microwave for four minutes. I only did it for one minute & the bottle was so hot that I burned my finger & the wax overflowed inside of the microwave. It was a hot mess. Literally. On the plus side, I did like the fact that the wax strips were washable. All you have to do is rub it under warm water & the whole thing -- wax, hair, & all -- comes off super easily. That's an economical bonus. Retails at $12.35. The Cire Royale™ Professional Wax contains beeswax & white lily extract. I like the formula of this one. You directly apply the wax, wait until it sets, then you rip the wax off. It's pretty simple & worked quite well for my eyebrows. Retails at $8.98. These sound fab, hair removal products sometimes make my skin sensitive but woudl love to try these. These sound great, I really want to start using more natural products. I always like hearing of and exploring Natural cosmetics. The perfume sample is so adorable. The perfume sounds like it smells divine. I love the smell of lychee! It's cool that they have a waxing line but I'm terrified to do a DIY wax. I'll leave that to the professionals! Sounds like a need-to-try cosmetics! 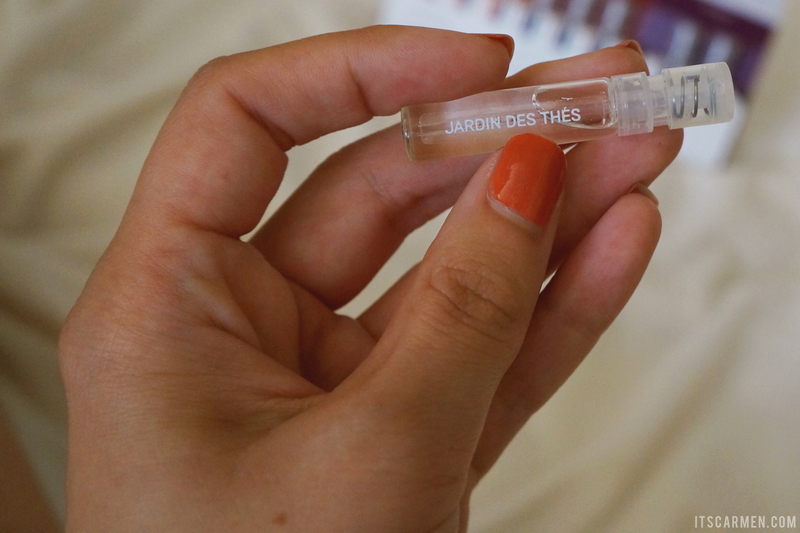 The line of perfume looks great, especially if organic and made in France!! Thank you for sharing!!! The perfumes look great! I like the idea of the cold wax. I have been trying more natural. organic brands recently so I really enjoyed this post. I do wonder if they have delivery to Canada? I'm not too sure. I don't see anything on their website on shipping! 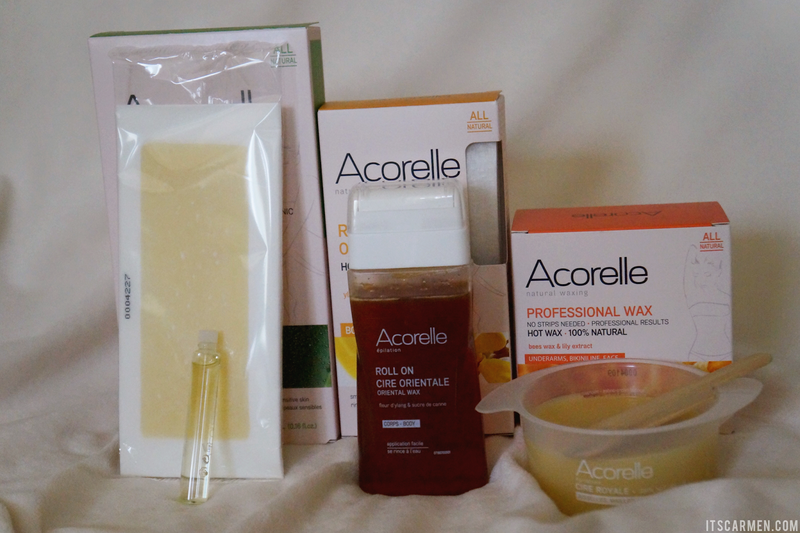 internatural.com carries acorelle and ships to canada via their bongo cart. I always love hearing about new beauty products, especially with they are natural! Thank you for sharing! These sound like cool products, I would like to try some! I had never heard about this brand before but it sounds great and anything organic or natural is wonderful! You've got lots of amazing products there, I'd love to try the rose scent! I would love to try some. Organic sounds too good! I never heard of this brand before. All the products look great. I love organic products i really really want to try these!! I never heard of this brand before, but I can see by the pictures you showed that it must be amazing! I would love to try the perfumes, I love the scent of roses and one named Ocean, that must be great, with lemon and cedar. Actually I love this scent, lemon and wood! you're right Denise it has a very pleasant smell! Such a nice detailed review thanks for sharing. Thanks for your comment on my blog! I hope to stay in touch! It looks really natural and good stuffs! hhhmmmm..... I may have to give these a try!! Great review! I have actually never tried waxing before but this sounds awesome! Wow, these scents sound amazing!